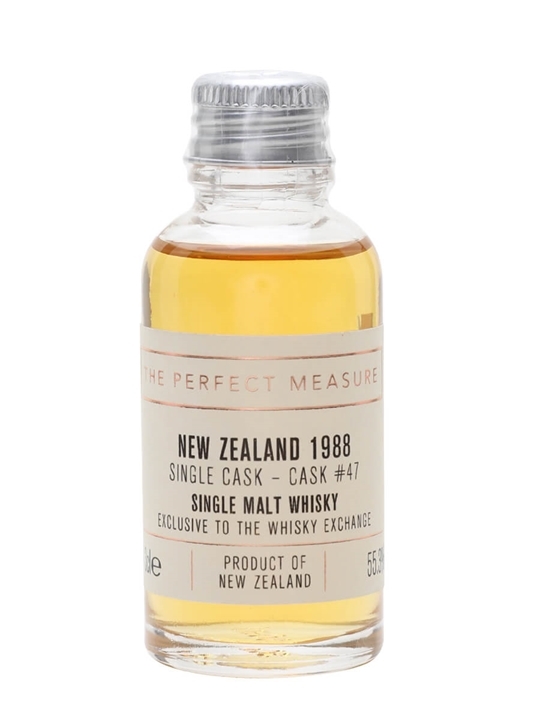 Summary: 3cl / 55.3% / The Perfect Measure – Sample this rare single-cask release from closed New Zealand distillery Willowbank – the world’s southernmost distillery until its destruction in the late 1990s. Distilled in 1988 and bottled in 2017 exclusively for The Whisky Exchange, this is a rich, well-aged dram with all the fruity intricacy and deep-rooted wood influence one might expect from a whisky on the brink of its third decade. 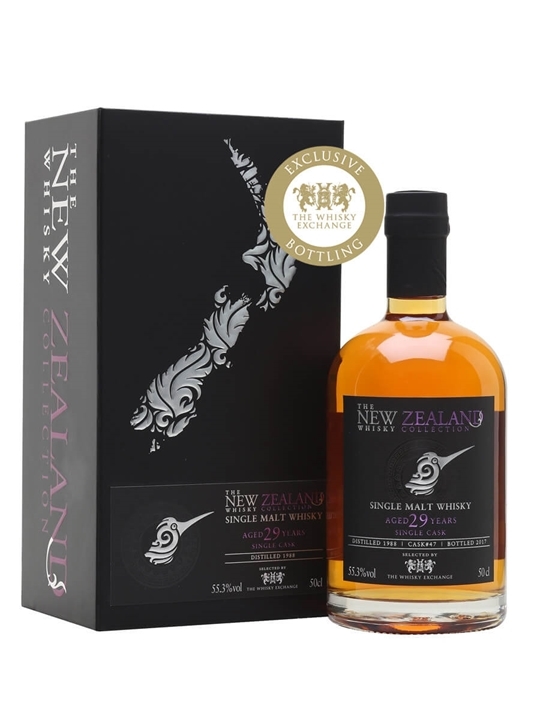 Summary: 50cl / 57.2% / The New Zealand Malt Whisky Company – A beautifully complex whisky from closed distillery Willowbank in Dunedin, New Zealand – the world's southernmost distillery until its destruction in the late 1990s. 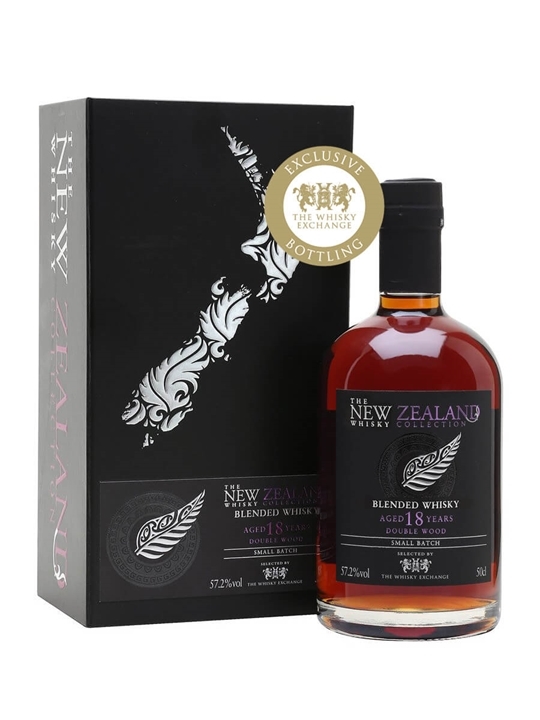 After an unconventional double maturation – a quartet of ex-bourbon barrels followed by a lengthy period in French oak New Zealand wine casks – this is a complex 18-year-old full of full-bodied, lingering dark fruit notes and woody spice. Exclusive to The Whisky Exchange. Summary: 50cl / 55.3% / The New Zealand Malt Whisky Company – A rare single-cask release from closed New Zealand distillery Willowbank – the world’s southernmost distillery until its destruction in the late 1990s. Distilled in 1988 and bottled in 2017 exclusively for The Whisky Exchange, this is a rich, well-aged dram with all the fruity intricacy and deep-rooted wood influence one might expect from a whisky on the brink of its third decade. A fine, one-off bottling that won’t be around for long.